Glam Gurru: "Oriflame Must Haves"
Today I am reviewing 3 Oriflame Must Haves you all should have, I had purchased them in July and since then I have never left my house without wearing them. 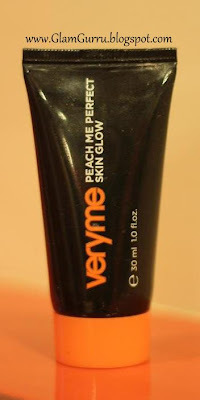 1) Very Me Peach Me Perfect Skin Glow. 2) Beauty Air Soft Powder. 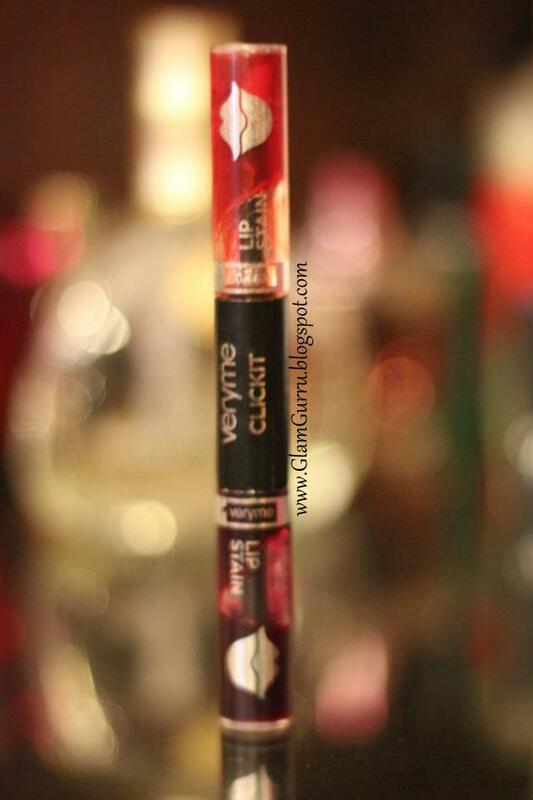 3) Very Me Clickit Lip Stain. 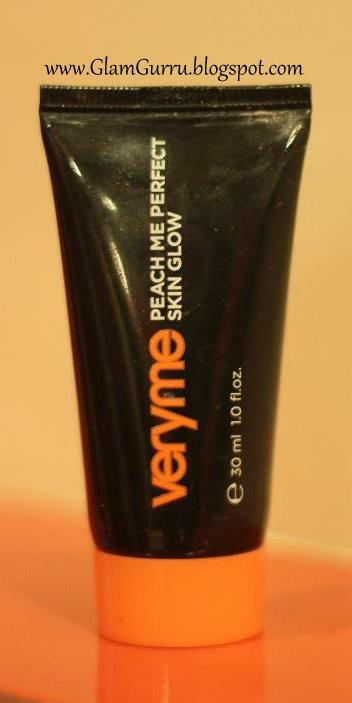 "My Take on Very Me Peach Me Perfect Skin Glow"
Its very dramatic I asked my friend what's the secret of her glowy skin and she said Peach Me Skin Glow, she always carries it in her purse so I grabbed on the product quickly tried on my face and it literally gave my face instant glow.I have never tried a tinted moisturizer before and I really wanted to try one so I bought the shade light. What I really like about this product is it doesn't make your skin heavy, consistency is light weight and its easy to apply. I have normal skin and it doesn't make my skin greasy or oily also it doesn't change my skin tone to darker or lighter shade. It has fruity fragrance and I like products that have fragrance. Those of you who would want to try out this product be sure it will not work like a foundation it doesn't give any coverage or hide blemishes but it will only make your skin brighter, even tone and fresh looking. I like the packaging it comes in a black tube with orange screw cap, so just throw it in your purse or makeup bag and you are good to go. I would recommend this product to dry to normal or combination skinned women. If you have oily skin and want to try out this product after applying use a translucent setting powder to achieve matte face. *If you want a tinted moisturizer that makes your skin healthy looking and even tone. *If you like light weight products on your skin. *If you expect to have full coverage moisturizer. *If you want moisturizer that contains SPF or PA++. *If you are allergic to products that contains fragrance. 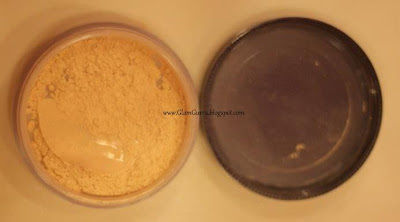 "My Take on Beauty Air Soft Powder"
I love the fact it's translucent and comes in two shades I purchased it in "Clear". 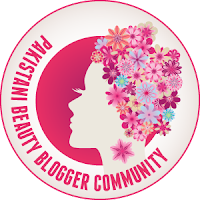 I am pale/fair depending on my diet and weather most powders are too dark or yellow for my skin tone, basically I am very picky about products that I use on my skin and its always very hard for me to be fully satisfied with setting powders. 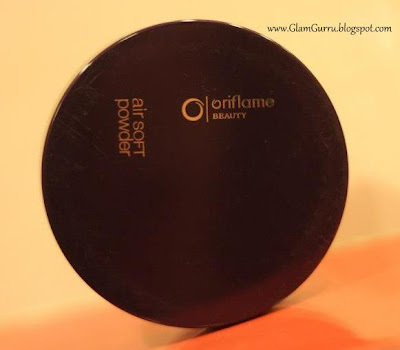 This powder is very sheer which is great because it doesn't give you any 'extra' coverage but still sets your foundation beautifully. So far I am happy with the product its light weight on my skin and it can look a little chalky if I continue to reapply for extra coverage however I have quit doing that, still it makes my skin look matte and smoother looking. I really like this product and I also use it to set my casual makeup especially when I wear Very Me Peach Me Perfect Glow both the product goes well together. This product is picture friendly you will not have white cast on your face and it will not leave your face cakey like other powders may. Amount of loose powder in the jar is 12g that's quite a lot of product and I am sure it will last me long. I would definitely recommend this to everyone specially women who have oily skin it really controls all the oil on your face!! *If you don't like cakey finish. *If you want oil control product. *If you like soft and smooth coverage. *If you want variety of shades to chose from. *If you don't like loose powders. "My Take on Very Me Clickit Lip Stain"
Fell in love with this product instantly and bought it in both shades "Red and Raspberry". I have iron deficiency and my lips are pale, I always wanted a product that would give my lips a hint of color and still look natural. Lip tints are the best thing in the world I have used The Body Shop Lip tint but after few months it started to smell so bad that I felt it has expired which wasn't the case, since then I began my hunt to search for lip tints till then my substitute was again The Body Shop Strawberry Lip Balm it also provides a hint of color to lips. Finally I was introduced to Oriflame bought both the shades of their lip tints and trust me they not only smell delicious they taste delicious too. They have staying power of 5 to 6 hours depending on how much you eat on your lips. I have a huge problem of eating on my lipstick, lip gloss and lip tint therefore its staying power on my lips is 2 to 3 hours. What I hate about this product is when the tint is fading away it will leave an impression of lip liner which is quite annoying for me. Application is easy but you have to make sure you are not using too much as it will make your lips sticky so use little amount and wait for it to dry otherwise if you lick on your lips while its wet the tint will fade. It takes few seconds to dry and doesn't bleed. Red looks more natural on lips on the contrary Raspberry is quite bright and I love the way it is. 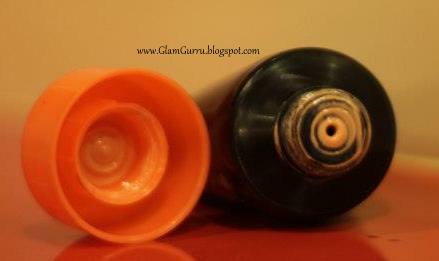 Lip tint makes your lips matte but you can always top it off with a clear gloss for shine. The Body Shop lip tint is pricey and comes in one shade only however this product comes in two shades and its pocket friendly. I would highly recommend this product to high school, college, university going girls and for people like me who have pale lips. *Leaves an impression of lip liner. *You have a problem of eating on your lip products. *You like glossy lip products. *You are allergic to fruity fragrance and taste. Disclaimer: This is not a sponsored review all opinions are honest and my own.